A few thoughts from a Camp Director. An educational letter to parents sending their children to summer camp, the use of social media and Whatsapp groups. We are ready and excited for Mesorah 2017. We have spent the past 10 months planning in order to give our campers the best summer experience possible. Another sold out season with over 1,100 amazing campers and staff members – all of whom are a Director’s dream. I enjoy that first moment when the campers arrive to camp. There is an amazing look on their faces when they see friends they have not seen in person during the year. It’s the friendship and bond they will experience 24 hours a day without the intrusion of technology. Within 10 minutes of arriving, all campers hand in their cell phones for the summer and I have news for the outside world: While some are hesitant at first because the cell phone is a yearlong addiction, within 10 minutes their phones are forgotten. Almost immediately, campers are in their bunks, hanging out, playing ball and we hear the beautiful sound of socializing and excitement in the air. This is the reality of camp. Our jobs as parents: Let’s set the stage for a successful summer for our children in a positive way. Why do we need to have negativity in our lives and then pass that along to our children, which may cause them to be nervous during the summer? Parent’s social pressures do not need to be shared with their children and we should not think for a minute that what bothers us as parents bothers them too. In addition, it’s important for children to learn resilience and conflict resolution. It’s ok for them to be nervous and have a child in their bunk who they are not great friends with. In the future, they probably will have to work with people who they may dislike and have to figure out how to get along with to be successful in school and in “real life”. What better place to learn that than in the “fun and relaxed” atmosphere of summer camp. What have we done? We have developed the most exciting program for your children for 7 weeks. They enjoy every minute of it. Yes, there are rules and procedures – all put in place for the safety and security of our children. I have always encouraged parents to communicate with me at any time; I would do anything for our campers, to see their continued success. Even if after a conversation a rule or decision is not changed to your satisfaction, remember that we are listening to you, respect you and take note of our discussions. As we often tell our children “no” is still an answer – it may not be the answer you are looking for, but it is the best answer/decision for those circumstances. After such conversations/policy announcements, often the next step is to post on a social media platform. Social media usage can be positive if used correctly. At times it has been used as a platform for conversations that don’t belong in the public eye. Private Whatsapp groups have been created to discuss potentially contentious topics, instead of using the “old fashion” plan of communicating directly with the administration. What is even worse is that rumors begin about items that are not even true; richilus and lashon hara are being shared for no reason. We often think that our children are not following these conversations and communications but they do hear and know about them and as a result, will start the summer with their parent’s preconceived notions in their minds. Bullying is one of the most important topics that we all focus on in school, camp and at home. What’s interesting to me is the actions we don’t want our children participating in or being recipients of, we ourselves are doing on social media. Facebook has become the place where a policy from an institution is highlighted and mocked, instead of calling the institution and asking for a logical explanation. There will be times that you may agree with a policy and times that you won’t. That is OK because you are not always aware of the entire picture which precipitated a change in policy. That does not mean that one has to air any “dirty laundry” on social media or in a Whatsapp group. Ask questions – but of the right people. In my experience as an educator and camp director, children like to learn the “why” and when decisions and topics are explained to them logically, they learn and respect those decisions and are more inclined to follow them. I sit with campers for hours talking about rules and decisions that they may not agree with – they do want to understand what factors lead to certain decisions. They need to have a chance to learn and to discuss without being influenced by social media platforms and our negativity. As we prepare for the summer, you will see all of the excitement and cutting edge programs and events that we have planned for your children. You will also receive rules and expectations that are implemented for the benefit and safety of your children. I ask that you refrain from using social media and other communication outlets to express any negative feelings you may have about them and focus on our children’s growth in a happy and health way. I encourage you to call and discuss topics with our administrative team. They are wonderful people, role models and top educators. Your children will enjoy life more and learn better from their life experiences without undue influence from social media and Whatsappp groups. Look for all of our positive posts on Facebook and Instagram. Like them, share them and enjoy the great moments that our children are experiencing. If you have any questions or concerns feel free to call me at any time. Looking forward to an amazing and safe summer! Resilience: Are parents opening the door for their child’s independence? 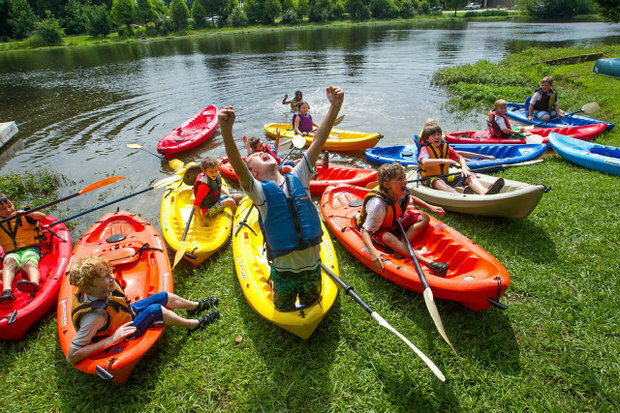 Every year, millions of children prepare for the ultimate sleepaway camp experience. Many campers are veterans while others are nervous and need to rehearse being away from their homes, beds, parents and electronic devices. Many parents make the crucial decision as early as September for their child to attend camp, which is certainly out of their comfort zone. Living conditions are different- especially rooming with a bunch of campers, some who are personable and others who may be annoying. The food that is served is not the typical home cooked meals they are used to. Campers will have the opportunity to master skills like archery, sports and culinary while playing fun games such as capture the flag, participate in hilariously silly skits and bond around campfires. Why is leaving the home such a critical step to independence? Part of the challenge for many children (more than we think!) is beating the homesickness which the parents can’t truly help the child prepare for in advance. Taking this one step further, on a daily basis, parents are put in a position where they can no longer do all they would like to do for their child. Some parents make sure that their children are heavily dependent on mom and dad to build self esteem, manage their social lives and pick their friends. Parents who control their children in this way, can not expect their children to be successful without them. It is time for parents to open the door and let their child walk out. Children need the summertime opportunity to walk away from their parents to learn about themselves. At times, they need to be on their own with experiences that belong only to the child without having to filter through what the parents think and feel about each situation and decision. Parents have to monitor and help guide when it’s appropriate, yet remember not to control. This experience is very difficult for many parents. We as parents are always thinking: Will my child be happy? Will they make friends? What will happen if they don’t make the basketball team? What will I do if they are not in the bunk with a particular friend? Or if they are placed with the child who I don’t want him/her placed with? We often confuse homesickness with the parent’s child-sickness and control. I will never forget a pre-Shabbos conversation that I overheard a parent having with their child who was away at sleepaway camp. This child enjoyed the first two weeks of camp, yet walked away with tearful eyes after hearing the following from a parent: I know you really miss us and it’s really hard for you to be away. Picture mommy and daddy sitting at the Shabbos table and then giving you brachot. Think of all the zemiros that we sing together. This shabbos we are having grandma and grandpa over and they really miss you as well. What was this parent trying to accomplish with this child? Was this helpful to the child? The parent actually expressed their own child-sickness and separation anxiety but did not give the child the positive erev Shabbos call they most likely intended. The child went into the call excited to share all the wonderful things that happened in camp that week, yet walked away from the call sad and confused. Most adults will tell you that some of their greatest achievements as a child were when they were away from their parents and taking a challenge that was even a bit risky. Camp builds leadership, confidence and identity. It also allows for developing social skills, problem solving and self esteem. Today’s parents are more emotionally close with and have deep attachments to their children while trying to protect their children from everything and anything they might perceive as traumatic. A study recently showed that parents have doubled the amount of time spent with their children in the last 20 years. Some of these hours are spent driving up to camp and settling their child into the bunk, unpacking and making their beds. Don’t we want the campers to have this experience on their own? Get on a camp bus and make new friends? Decide what to put in each cubby and how to make a camp bed? Don’t we want our children to learn how to be independent? Every parent has to do their research and find the camp that they trust so that their child can learn to be more independent. A child needs to know that when they face a challenge, the victory belongs to them alone. If a child was homesick and moved past those feelings then the child accomplished this alone- without parental help. If the camper doesn’t like a program, has difficulty with another child or even with a staff member, it should be the child’s achievement in deciding who to turn to for guidance, solving these issues by problem solving and working out the details. The child will learn to speak appropriately and work with others, without a parent following behind. After all, don’t children need these tools for growing up? For school? For a career? For life? A child who gets injured or dirties their clothing needs to learn how to solve these issues on their own without mommy and daddy smoothing things over. When parents are too involved in every move, it can have a regressive effect on the lives of their children. As we conclude the second week of sleepaway camp, I am reminded of all the accomplishments of both our staff and campers. I have witnessed many children leave their comfort zone to achieve socially and begin to problem solve on their own. Those parents that encourage a mentality of independence will see true success from their children. I was extremely proud this week when a parent asked me to speak to their child and help work out some differences with the bunk dynamics. After two days of team building the campers have become closer friends and now interact in a new way. Unfortunately, there are always some parents that after hearing of a minor issue encourage their child to leave after the first month. Usually there is nothing majorly wrong and most issues can be solved quickly. Each small item becomes a learning experience for the camper to place in their problem solving toolbox of independence. Parents who are child-sick sometimes harp on whatever they can to make sure that their child will want to leave camp and return home. I am sure though, that if we all work together, we will together raise more independent and successful children. This guided independence will eventually lead to a more professional work ethic as our children mature and prepare for a career in the future. Bunk/School Requests- Who is really making the request? When I think back to elementary school and even to my camping days I don’t remember the topic of requests being discussed. Today, one of the most popular topics at the beginning of every camp/ school season are requests. How many friend requests were actually met? As soon as assignments are distributed, we as parents immediately work to gather a list of the class or bunk, some quickly post it on Facebook, and many of us get involved in the frenzy. We believe we are doing this on behalf of our children, yet it almost seems that some parents need to know for their personal satisfaction. This concept has become a “social event” amongst parents and at times overshadows what is most important for our children- their happiness. I recently wrote in Choosing a Summer Camp, that we all have reasons as to why we send our children to a particular school or camp. Hopefully, we have all done our research. However, there are so many other factors that we as parents need to be aware of such as the decision process that the camp/ school uses when making placements. Over the years we have allowed parents to request three friends and one is guaranteed. As educators we allow this because although we feel a particular class/ bunk is appropriate for the child, we also feel that it is important for children to be in their “comfort zone” and being with a friend can help with that. . In camp, we generally try to accommodate at least two requests if possible. In today’s society, the parent’s excitement and possible anxiousness over their child’s placement can turn into great disappointment when the institution happens to have chosen “the one that my child didn’t really want…our child wanted/needs the other request.” This reality has become extremely sad and in most cases hurtful to a child. Usually the child does not even know or care and it’s the parents who insist on this “social placement” on behalf of their child. Often, the only reason the child is aware of it at all is because the parents announced it as a priority. Usually, when we think a child is “disappointed” they are able to get over the hurdles relatively quickly . Parents often continue discussing the topic with the child instead of helping the child move on and meet new friends. A major component that parents do not always realize is that at the same time that the institution is being pushed to satisfy a request other parents may have in confidence asked for the same children to not be placed together. Many parents don’t believe that their child would ever be negatively requested. This all too common scenario places the school/ camp in a very uncomfortable situation. On a practical level, schools look to place children where they will learn to the best of their ability. Which teacher will develop the appropriate connection and bring out the child’s academic ability? That should be our focus. 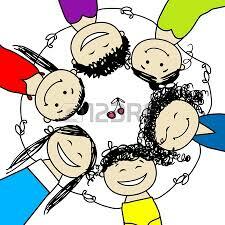 Our children generally have the ability to broaden their friendships and to meet new people every year. I applaud those families who call me on the off-season expressing an interest for their children to make new friends. Clearly, the requests are not the priority but rather the ability to broaden friendships in a new setting. This scenario reflects real life and helps prepare our children for the future. Over the last fifteen years, I have watched many families, students and campers trying to decide which camp or school to attend. This process clearly has had its challenges in the last number of years. Can it be that the IPhone era has plagued today’s society? Let me explain what I mean. Think back just ten years ago. There was a method to choosing a school. Many of the significant components were Hashkafa, values, teachers, quality in education, Ivrit B’Ivrit, friends and programs. Let’s not forget that after deciding on a school, the child would remain there unless a serious issue arose. Over the last few years it has become acceptable, and almost the norm, to change schools and camps every few years. For some families, it’s year after year. I recently spoke to a student who spent his four years of high school in four different schools; there was no major issue that occurred that resulted in the family and schools needing to part ways. It was just what they did. And, when it comes to camp, similar patterns are taking place year after year. It’s not uncommon for campers to try multiple camps throughout their camping years. What has changed in our society? The iPhone concept has changed our society. Think back to the times when we listened to an entire cassette in the car, enjoying the whole album. A short time later, the more luxurious cars were able to fast forward to a specific a song and you had to wait about ten seconds. In recent years, when was the last time someone listened to an entire album on the iPhone? Watch how the younger generation uses their iPhonea. They are constantly “flipping”. Flip to the next song, flip to the next game and flip to a new app. Our children’s generation has been trained to flip to the next thing after a few seconds. Bored or bothered by something? Flip to the next song or activity; don’t allow the song or game to play out further to see if it is something you might enjoy after awhile. This has impacted our youth in many ways, especially when it comes to conflict resolution. For example a student may not like the way a teacher handled a situation in school. As a result the student wants to change classes to another teacher that s/he thinks maybe so much better. Ultimately, this method of “coping” translates into constantly changing schools and camps. In a society of iPhones the “flipping” method is so much easier then dealing with the situation by problem solving. As parents it has become easier to have the child change his environment then spend the time with conflict resolution. We must deal with this reality and work on these issues. This is not the sole cause of constant change but certainly plays a key role when a child is not receiving immediate satisfaction. Conflict resolution and not always having instant gratification are things that need to be taught at school and home. Children will need these skills to maintain their jobs in the future. We must choose a camp or school because we believe in it. Not because it’s easier then dealing with a conflict that can be rectified by change. It is with great excitement that I write the very first of my weekly posts discussing various topics related to camp and education. At times these two subjects work hand in hand and can be relevant throughout the year. If you had to guess, what would you say is one of the most common questions that a camp director is asked? As a Director I would have to say ARE CELL PHONES AND ELECTRONICS PERMITTED IN YOUR CAMP? I want to begin by stating that I believe that when computers, IPads and IPhones are used in the right way, many wonderful things can be accomplished. For example, I had students who were not succeeding in school by conventional standards, but they are computer geniuses. They put together the most amazing websites and school videos, and when technology was integrated within the lesson, they achieved significantly. Sleepaway camp is a wonderful time for campers to interact with their peers and counselors without distractions. Picture a day of fun: kids enjoying motor boating, sports leagues, developing a cheer, color war and so much more, all without feeling the need to break every 5 minutes to check their phones to see what their friends are texting or tweeting. Rather they get to talk, enjoy and strategize with their friends on how to win a sports game or be a part of planning a fun activity with their bunk or counselors. It’s not a complicated social interaction – it can be as simple as sitting around a camp fire and roasting marshmallows, just socializing with friends in a healthy, face-to-face way. 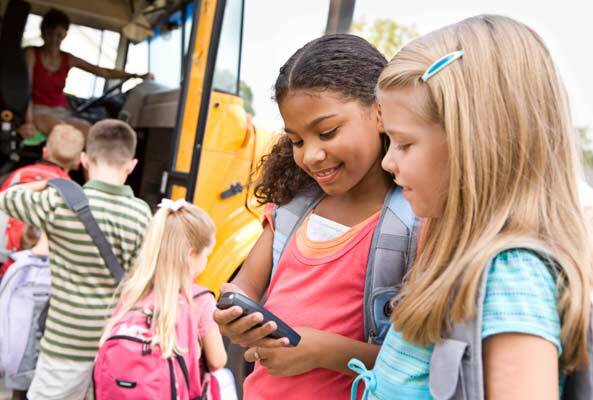 Too often I have seen cell phones prevent maturity and growth in a camper during the summer. In today’s day and age with calls to Directors and Head Counselors, e-mails, thousands of pictures being posted on camp websites everyday, a parent can easily get a sense of how their child is doing in camp in a matter of minutes. I know in our camp the camp mothers, division heads check on the children regularly (even with hundreds of campers) and are in constant contact with the parents. After all, parents have (hopefully) done a tremendous amount of research before they register their child in camp, when they are entrusting their child to a camp which they see as an extension of their own family. While this constant interaction is very beneficial for the parent, constant contact for the camper may impede on the tremendous growing experience that camp has to offer. How? Campers need to see the entire picture, experience the environment and meet everyone throughout the camp before they should formulate an opinion about their experience. There are many campers who like camp instantly and do not need any adjustment period. There are other campers that within minutes hate a camp without even seeing the entire picture of the camp experience nor getting to know the members of the bunk. There are those who love camp, but suddenly decide that they dislike camp, just because they lost a hockey game. Campers need to learn how to socialize with their peers, staff members even when there are difficulties and disagreements. Isn’t that what the real world is like, especially in the work environment? Schools, and particularly summer camps, need to work on improving children’s social skills and problem solving skills on a daily basis, in addition to all the amazing programs and sports activities that are taking place. Often, cell phones stunt that growth as camper’s feelings change by the minute in camp. I once had a camper who lost the basketball championship; he called home and declared that he didn’t like this camp anymore. Twenty minutes later, while he was enjoying an amazing activity, he texted his parents and said “Never mind, this place is awesome.” That parent called me that evening and asked for the phone to be confiscated. They wanted their son to enjoy camp life without running to his parents for every issue. We, as adults and parents, need to give our children space and give them a chance to just “be kids” and learn to deal with certain social situations without the “crutch” of a cell phone. Every experience in camp and school may not be so perfect but we have to give our children the opportunity to try to solve the problem without our parental input. There are many experienced staff members they can turn to for help in these situations – part of the maturation process is learning how to resolve issues without turning to Mommy and Daddy. All these being said, I do believe that it is important for campers to speak to their parents every once in a while and express their excitement about camp and discuss what they have achieved, or if there are larger issues, discuss them with the parents. That is why we allow the campers to have their phones on trip days. One helpful idea is that when your child does call on a trip day try and discern, during your conversation, what are “real” issues and what are not. If a child is not picked to be the captain of her team that day, that is not a reason to be alarmed. Other complaints expressed may warrant concern and should be explored with the camp upper staff. Always remember — when we immediately agree with your children without hearing and understanding all the facts, it can put your children at a social disadvantage when there is really nothing wrong. The summer is an exceptional chance for children to grow – to learn how to interact with campers from other communities and even other countries, grow friendships with these new friends, and hone their inter-personal and conflict resolution skills. At times, the constant presence of cell phones and other technologies can impede that growth. Yet, it is crucial to remember that cell phones and texting are great for communication when they are used in a healthy way. Click here for a great article regarding cell phones in camp! I am proud to launch this new forum that concentrates on various topics related to chinuch, camping and the education of our children. As educators and parents, we hope to provide the right tools to our students and children so they can succeed in the appropriate way. This blog will focus on key topics related to education that will have a positive effect on our children daily.